Orders can be placed by post, phone, online or in person by visiting our shop. For full details please visit our Contact Us page. Small items are delivered by Royal Mail, larger items are delivered by courier. All our wooden hives are made from the finest quality Western Red Cedar. Imperfections and knots are discarded, ensuring you receive a top quality product which will last for many years. We don't skimp on the quality of the wood used in our hives. Only the premium cuts of wood are used. We cut from the centre of the sections, avoiding the sapwood that will rot easily and the tough wood at the centre which is prone to cuts, splits and knots. Unlike other bee hives on the market, our timber is seasoned – this means cut and dried for many months, sometimes years, before we use it to build your hive. This ensures a much finer finish, and there will be less chance of wood shrinkage, splitting and twisting. Our comb joints will always fit snugly, with no need to use unsightly nails. (Properly dried wood also allows ease of assembly when purchasing flat pack goods.) Thats why we offer you a10 year guarentee. Should I buy my hive ready assembled or flat-packed? Our craftsmen use Cascamite (powder resin wood glue, stronger than the wood itself) to seal all joints, and sand them all for a perfect smooth finish. No gaps in the joints means better insulation for the bees and sealed entry points for predators. Our fully assembled products give you reassurance and peace of mind, while our flat-pack product will fit together perfectly. Can I paint my wooden hive? Your hive does not need painting however if you wish to do so then please wait for about 3 years to allow the hive to weather. Only when the wood has silvered can it be painted and then, only externally. Can I paint my poly hive? Yes, poly hives should be painted to protect them. We offer a range of water-based paints for protecting and providing durability. View our poly hive paints. 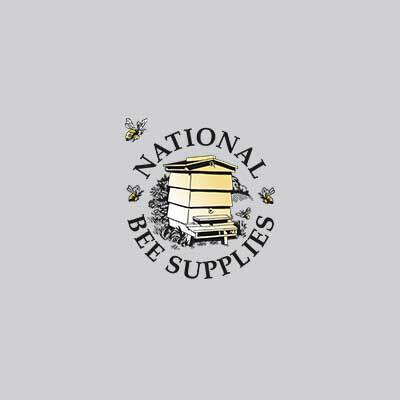 With 200 years of gardening knowledge and expertise, and a Royal Warrant, we are delighted to offer you a range of seeds, plants and trees from Suttons that will help you attract bees to your garden! They have a wonderful range of flower and vegetable seeds, young plants, bulbs, fruit bushes, and other horticultural products, plus a number of growing guides and regular newsletters to help you get the most from your garden, allotment or small holding, and to help your bees by providing them with the perfect plants for pollinators. Their programme of phasing out the use of neonicotinoids, and by careful control of the growing environment, they can ensure the plant stock is truly bee friendly and safe. When will my seeds be delivered? Your seeds will be delivered by Royal Mail within 7 days. Will the seeds come with instructions? Yes, detailed instructions, including sowing and harvesting periods, are printed on the seed packet itself. Are the seeds genetically modified? No, none of our seeds have been genetically modified. When will my shrubs be delivered? When will my plants be delivered? Will growing instructions be included? Growing instructions will not be enclosed however please look on the address label where you will find a link to where the growing instructions can be found on our website. None of our seeds are treated with neonicotinoids. At the beginning of 2018 we eliminated neonicotinoids from all of our plant production. It is possible that the compost of some plants grown prior to this may still contain diminishing traces of neonicotinoids but from June onwards we anticipate that all our annual and perennial plants will be neonicotinoid free. What size are the bespoke labels? How much do the labels cost? This depends on the artwork. Please email shop@beekeeping.co.uk, attaching a PDF of your required label and confirming the size and quantity. We will then check the details and come back to you with a quote and delivery timeframe. If an item doesn’t fit can I return it? If you follow our sizing guideline then the item should fit however if not then please return it to us within 14 days, unworn and in the original packaging. We will then either replace with an alternative size or refund, whichever you prefer. From what fabric is the clothing made? Unless it states otherwise, the clothing is made from hard wearing poly cotton. Bees do not like dark colours and so most of our clothing is available in either white or beige. You can either contact us using the online form or call us and we'll be happy to help.